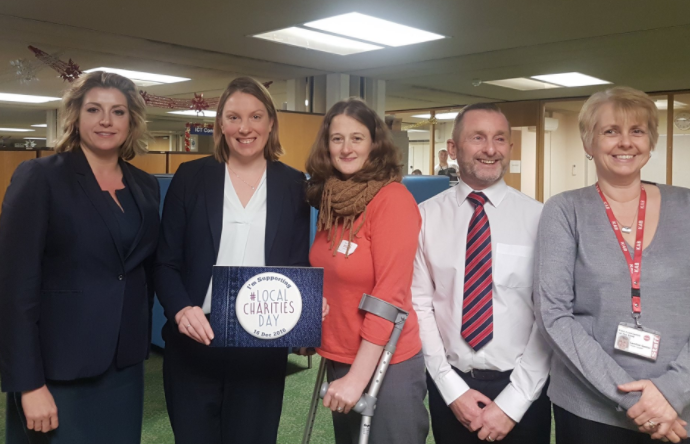 After a successful launch last year, where people and organisations from across the UK got involved, I am delighted to announce that Local Charities Day is returning this year on Friday 15 December 2017. Building on the success of 2016’s launch, this year’s Local Charities Day will highlight the work of small charities that are making remarkable differences in their communities. It will also shine a spotlight on the unsung heroes and celebrate the commitment of those amazing volunteers who devote their time to improving the lives of others. To help us celebrate the work of local charities and make Local Charities Day bigger and better this year, we need your help, and there are lots of ways to make yourself heard! As we countdown to Local Charities Day we will be showcasing the work of a range of local charities from around the country via this blog. Do also keep an eye on our Twitter, Facebook and Instagram accounts for more information and news about the day. Just like last year, we want as many local charities involved as possible, with everyone sharing content with the hashtag #LocalCharitiesDay. However you are involved, I am looking forward to celebrating Local Charities Day with you in December.